I've been exploring Phoenix, and Los Angeles, for many years now. And on a regular basis, I'm reminded that what I see is weird. I can look past suburbia. I can see the mountains, the rivers, the wide open spaces. And I've been doing it next to the doughnut shops of the San Fernando Valley, and the Starbucks of Phoenix. And it makes me sad when I realize that most people not only can't do it, they don't even try. I call this "history adventuring", but mostly it's just looking at stuff. I was a nerdy little kid who liked to draw (and I still am!) so I'd take my sketchbook out to places and draw things. I drew trees, and rocks, and flowers, and all of the things that the grownups didn't see. They saw traffic lights, and grocery stores. I still do this all of the time, and I often take photos of things that I find interesting here in the Phoenix, Arizona area. I see trees, rocks, flowers, mountains. And it's when I post them on Facebook that I realize that people see freeway entrance ramps, and "do not park" signs, and trash cans. And they wonder why I'm looking at freeway entrance ramps, and "do not park" signs, and trash cans. But I refuse to live in that world. There's so much more to see in a parking lot than the closest parking spot to a store. I see acacia trees, I see the mountains that surround the valley, I see hummingbirds. I see beauty. Of course, for most people, this beauty needs to be carefully packaged. It needs to be labelled "scenic view" or sold as part of a travel package. I'm an old Marketing guy, and I understand. It makes a lot of money, and the tourists understand it. But I don't need that kind of packaging. I live in an astonishingly beautiful world, right here in my neighborhood. And if you see me standing there, staring at nothing apparently, don't worry, I'm not looking for the bus. 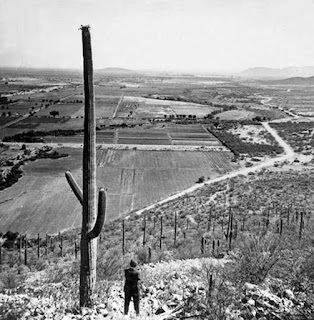 I'm looking at Arizona. 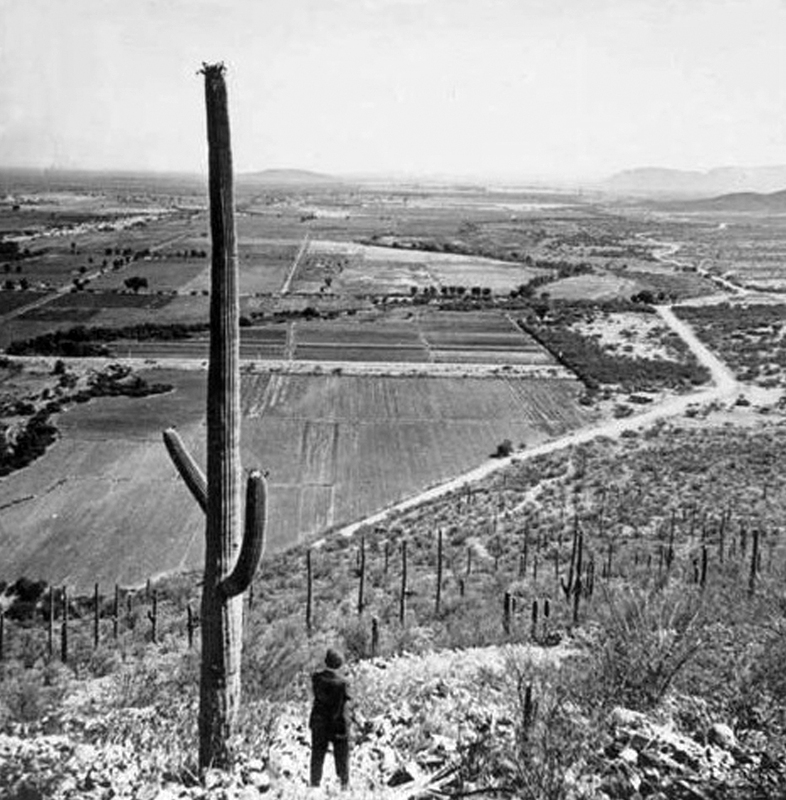 Image at the top of this post: the foothills of South Mountain, Phoenix, Arizona. This is what I see.